1994-98 Master of Arts, Department of Fine Art. RMIT. 1990-93 Bachelor of Fine Art (Honours), Awarded with Distinction. Department of Fine Art. RMIT. 1999 Australia Council Grant. Travel Assistance; ‘Ceramics Millenium Conference, the Netherlands. 1992-3 RMIT/ Walkers Award for Excellence. 2002 ‘Keepsake’, Haecceity Arts, Carlton, Melbourne. 2014 '29th Gold Coast Ceramic Art Award' Gold Coast City Gallery, Gold Coast, Queensland. 2012 '28th Gold Coast Ceramic Art Award' Gold Coast City Gallery, Gold Coast, Queensland. 2006 ‘Innovative Ceramics’ Nellie Castan Gallery, Melbourne. 2006 ‘Unlimited Editions’ Craft Qld, Brisbane. 2005 ‘End’ Kings Artist Run Initiative, Melbourne. 2005 ‘Surrounds’ Redland Art Gallery, Cleveland, Queensland. 2003 ‘Blush’ Fusions Gallery, Brisbane. 2001 ‘Serenity Vital’ Haecceity Arts, Melbourne. 2000 ‘Contemporary Australian Ceramics’ Curator: Kevin White, Pottery Workshop, Hong Kong Arts Centre, Hong Kong. 1999 ‘Goodbye Kind World” Curator: Kevin Murry, Story Hall Art Gallery, Melbourne. 1998 ‘Past Masters’ La Salle-SAI College of the Arts, Singapore. 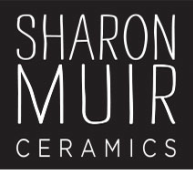 1997 ‘Sidney Myer Fund International Ceramics Award’ Shepparton Art Gallery, Shepparton, Victoria. 1996 ‘Box’ (Satelitte Exhibition) Curator: Suzi Attiwell, RMIT. 1995 ‘Shelf’ Craft Victoria, Fitzroy. 1995 ‘New Wave’ Art Around Town Gallery, Melbourne. 1993 ‘Fiona Hiscock, Marianne Huhn, Sharon Muir.’ Customs House, Melbourne. 1993 ‘Fresh’ Craft Victoria, Fitzroy. 1992 ‘Nine’ Swanston Srteet Gallery, Melbourne. 1990 ‘Our Games Dirt and We’re Playing with Fire’ Swanston Street Gallery, Melbourne.